RICHMOND, Va. (CNS) — In celebrating the Diocese of Richmond’s first Mass of Atonement for victims of abuse Sept. 14, Bishop Barry C. Knestout apologized to victims of clergy sexually abuse, likening church leadership to Jesus’ condemnation of the Pharisees. “Leadership was not listening to the cries of those who had suffered this abuse, who were blind to it, and who were often like Jesus’ own condemnation of the Pharisees as whitewashed sepulchers — clean on the outside, but full of a dead man’s bones within,” he said. 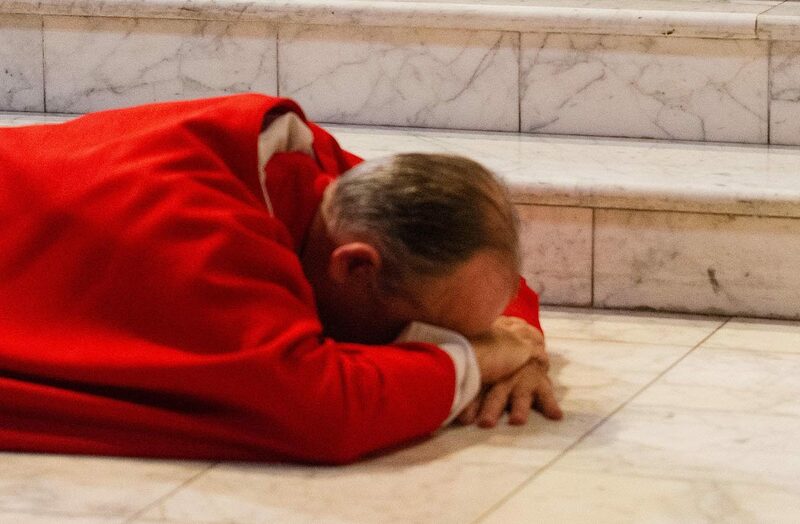 During the Mass attended by more than 300 people in the Cathedral of the Sacred Heart, Bishop Knestout said the church must confess its sins and express contrition for what it has done and failed to do. Bishop Knestout also announced funds were being set aside for an abuse victims’ assistance fund to provide counseling to those who have experienced abuse from clergy. Editor’s Note: The text of Bishop Knestout’s pastoral letter is available here.